Her dream had become reality: married to her lover, living in a luxurious home on the California coast where her sons would have opportunities that did not exist in her native Croatia, green card in hand so she could teach. Then it all fell apart: the unbridgeable rifts between her and her husband, having to live on her own in a country she barely knew, and, most terrifying, the discovery that her sons were technically in the country illegally and could be deported at a moment's notice. In Limbo: An Immigrant's Journey is the moving story of one woman's struggle to make the United States her home. It is the story of love found and lost, then found again. It is the story of hope, despair, and, then again, hope. 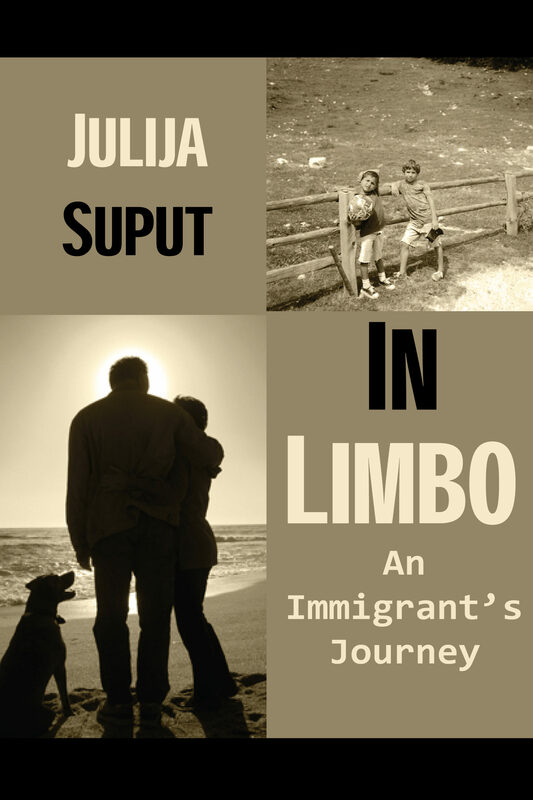 Based on the actual experiences of its author, In Limbo: An Immigrant's Journey navigates the deep and at times treacherous waters of human relationships, and takes us into the frightening and indifferent harbors of government bureaucracy. In Limbo: An Immigrant's Journey has special relevance in today's world where illegal immigration is such a controversial issue. Julija Suput presents the voice of the unheard: those families— some of whose members are documented, others not—who cannot speak out, fearful that if they do, they will bring about the very situation they wish to avoid, the breakup of their families.